Reggie and Josie look extra happy and comfy together on the couch. Could they be a new romance? 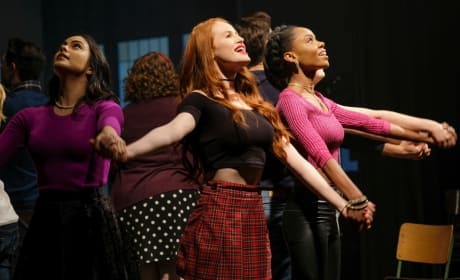 The students of Riverdale High practice and perform the opening number of Carrie: The Musical, "In". 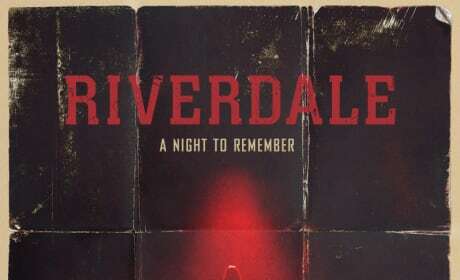 Betty, Josie, Cheryl, Veronica and Archie star in the Riverdale High hit musical, Carrie: The Musical. The hunt for their missing friend is going to take them to strange places. 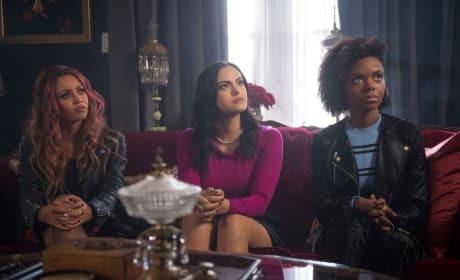 Will Cheryl, Toni and Josie find Cheryl before it's too late? Cheryl has gone missing and only the girls will be able to save her. From the look of the setting, they're checking Thistle House for their missing friend. 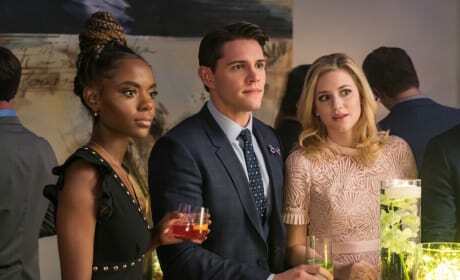 The ladies of Riverdale are having a sleepover at Cheryl's home. What trouble will happen during this girls' night in? Josie has noticed some sparks between her mother and Sheriff Keller. The problem is that she doesn't want anything to happen. Why is the group so shocked? 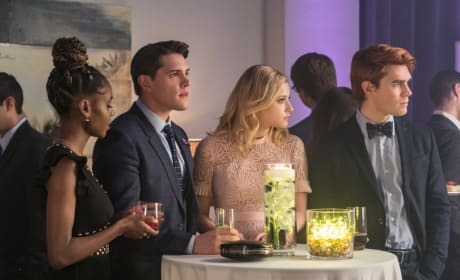 Something upsetting must've happened at Veronica's party. Even with all the tension going on in Riverdale, the group still has reason to come together and celebrate. 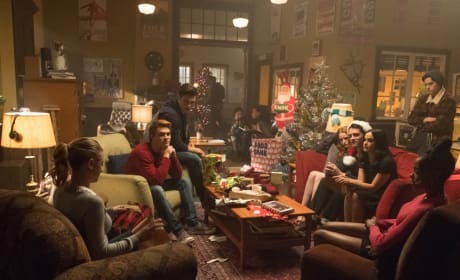 The group of friends at Riverdale High are playing a fun game of Secret Santa. What gifts will be given around? It's time to get in the holiday spirit, and Kevin looks to be having a good time. 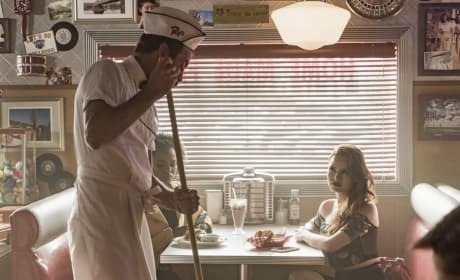 FP has a new role in Riverdale, but the others won't let him forget his forget. Cheryl is going to milk this torment for as much as she can. Valerie: Is it true you’re ditching us? Josie: Who told you that? Melody: Someone put a note in my locker. 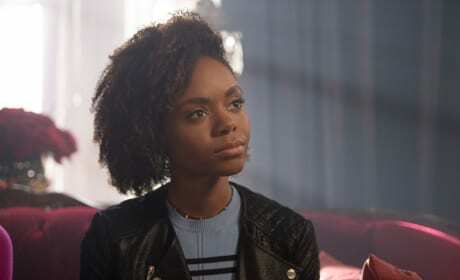 Valerie: Josie, women are supposed treat each other better than this. We’re your sisters and you clawed us in the back. Josie: It’s not as black and white as that. Okay, this opportunity just fell into my lap. Valerie: Then why didn’t talk to us? Why be all shady and hide it? Melody: Because she wants to try it as a solo diva. Well go ahead, Josie! Try it girl. Cause you’re on your own now. Melody: Pride cometh before the fall, Josie. Permalink: Pride cometh before the fall, Josie. Josie: Mom, Valerie quit the Pussycats. Josie: Val writes our songs. She's irreplaceable. 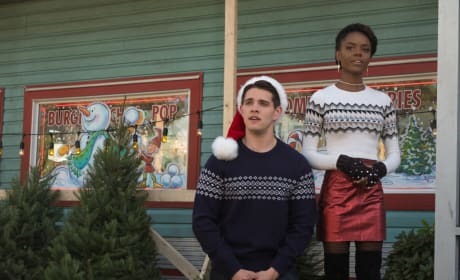 Mayor McCoy: No, Josie, you're irreplaceable. Everyone else is...disposable. You know...maybe it's not such a bad thing to try a new voice? A different sound? You know how your father feels about pop music. Josie: But it's not pop music this time. Mayor McCoy: Well, he's catching a Red Eye and missing two concert dates to see you in this Variety Show. I would hate for you to let him down. 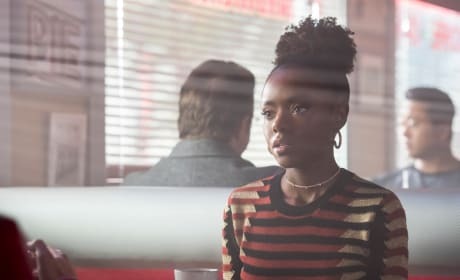 Josie: I understand, and I won't. Mayor McCoy: Good. Because if you do, he will somehow blame me. Permalink: No, Josie, you're irreplaceable. Everyone else is...disposable.